Add a customized name topper on to your cake! Depending on the size of the cake I can adjust the size of the topper. So let me know how big your cake will be. If you don't specify the size of the cake, each character will come in approximately around 3" by 3" depending on the character. This was made for an 8inch cake. These toppers are also available in black glitter, gold glitter, silver glitter, blue glitter and pink glitter. Before you put in an order please contact me and let me know the name and color that you want. Thanks! I’m looking forward to making this extra detail for your party! Nativehaus was amazing to work with. 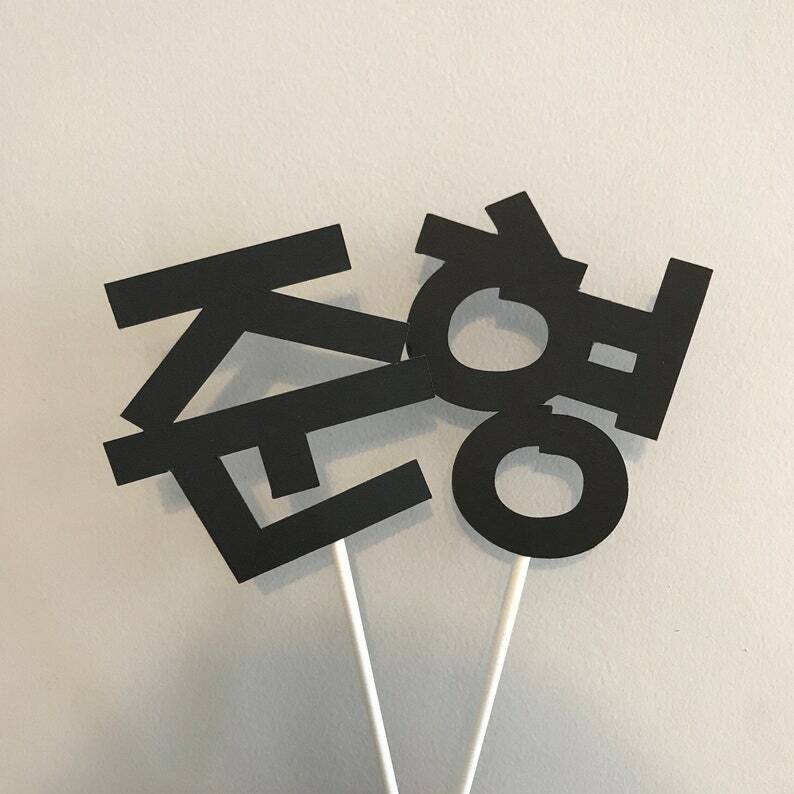 Very attentive to my questions, helped fix my Hangul, personalized the cake topper and banner that I ordered and shipping was very fast. I highly recommend working with Nativehaus. Thank you for helping make our celebration great!